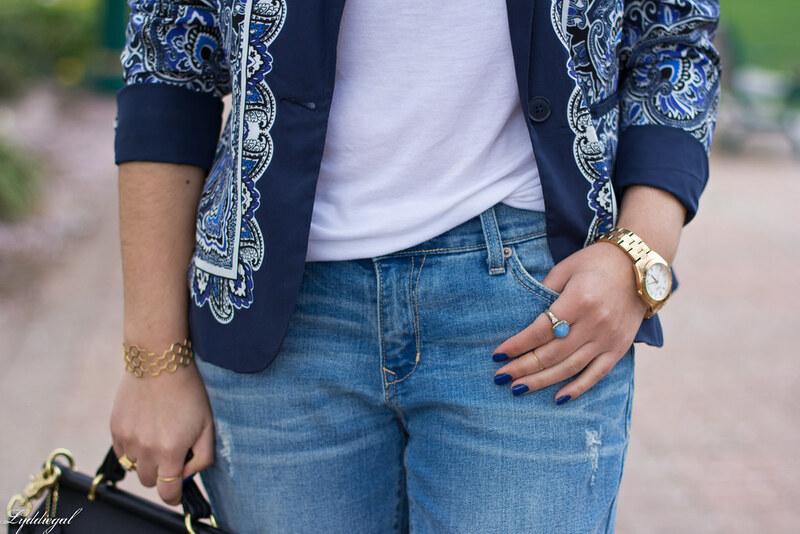 Boyfriend denim, slouchy tee, printed blazer, metallic heels... this is my kind of casual. This blazer is definitely one of my more under-worn pieces, which I should try and change since blue and white and paisley print are all things I completely adore. Hard to believe it's Memorial Day weekend already! Anyone have fun plans? Love this vest and love this shoes, pretty look. These silver heels are gorgeous! Have a great weekend! 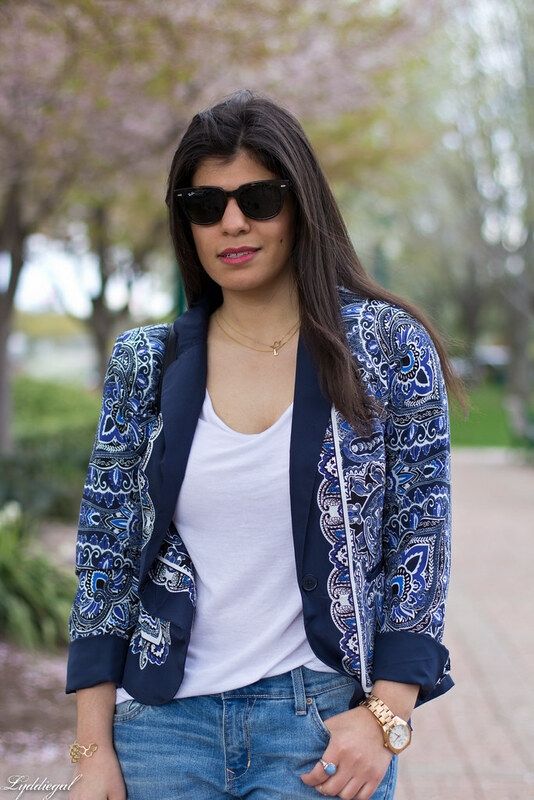 I love blue and white together so I am drooling over that fabulous blazer! Your heels are adorable, too! You look Great in blue & white and I love the silver shoes. Great look, love the paisley blazer. Have a great weekend! How do I not yet own a pair of boyfriend jeans? How? I think this is the kind of casual that almost anyone could get excited about. I've developed a real obsession with mixing metallics lately so I love that you paired silver heels with gold jewelry. And that blazer! What a stunning, delicate piece. It looks lightweight enough to be a scarf you just artfully wrapped around yourself. Perfect kind of casual! I love the blazer and do hope to see it around more. It's so YOU! Enjoy your long weekend! I love this blazer, it's so pretty! That blazer is to die for! Gorgeous! Hope you have an amazing weekend! Love the colors of the blazer and those shoes are awesome! This is a perfect casual outfit. I wear my boyfriend jeans all the time. And that blazer is awesome! You should definitely take it out more often! Have a great weekend! Love the boyfriends and your jewelry!! Oh I love that blazer! The pattern and colour is beautiful! 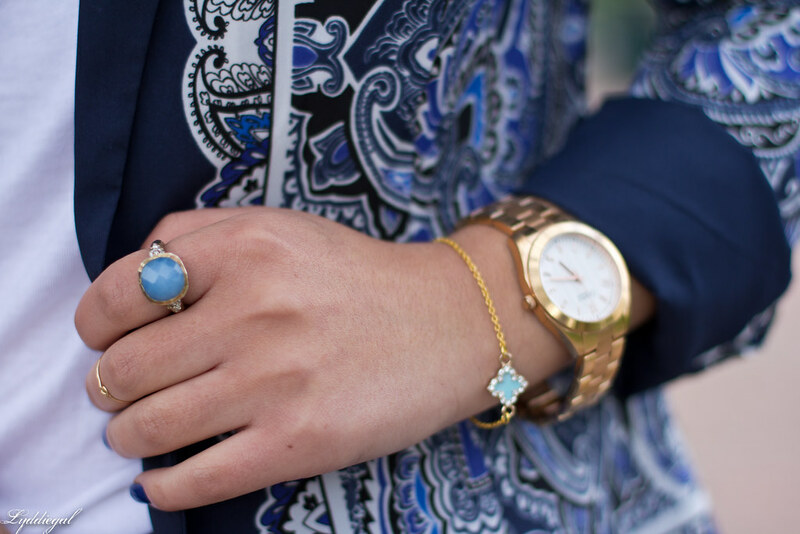 Plus I love the ring and bracelet! Lydia, that jacket looks so good with your jeans. What a fabulous print! Have an awesome Memorial Weekend. I love blue and white as well. 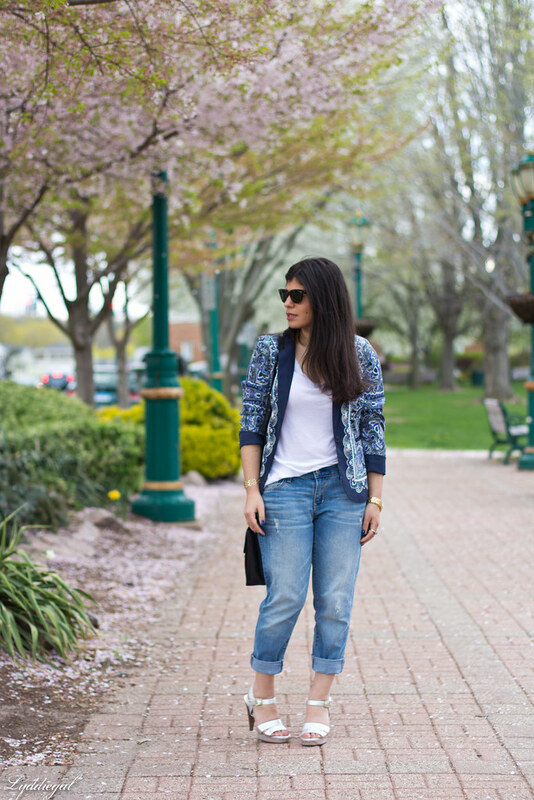 I love a good boyfriend jean paired with a blazer. Love your printed one! It's funny how we wear some things so much more than others. I love this look and I love how you paired heels with BF Jeans! 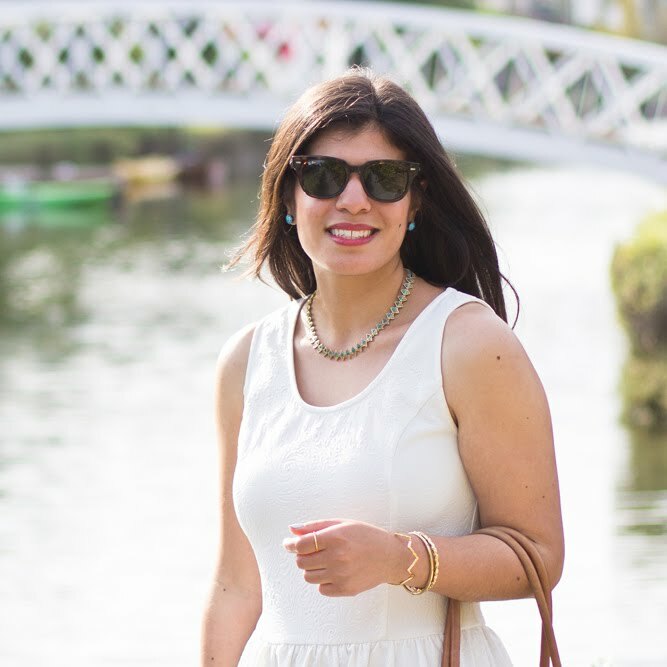 Definitely a great weekend look! No fun plans for us, just staying home and throwing some stuff on the grill! nice and polished thats gorgeous! I love this outfit, it speaks to me! I need to find more cheerful and beautiful blazers like this! This blazer is gorgeous! Love those silver heels too. Such an unusual jacket!So versatile and chic. I can see myself styling it in 100s of ways! Love this look, the metallic sandals are a nice complement!